The Minuet originally for keyboard in D major, transposed here to F, and the Gigue originally in G major, also for keyboard, transposed here to Bb. 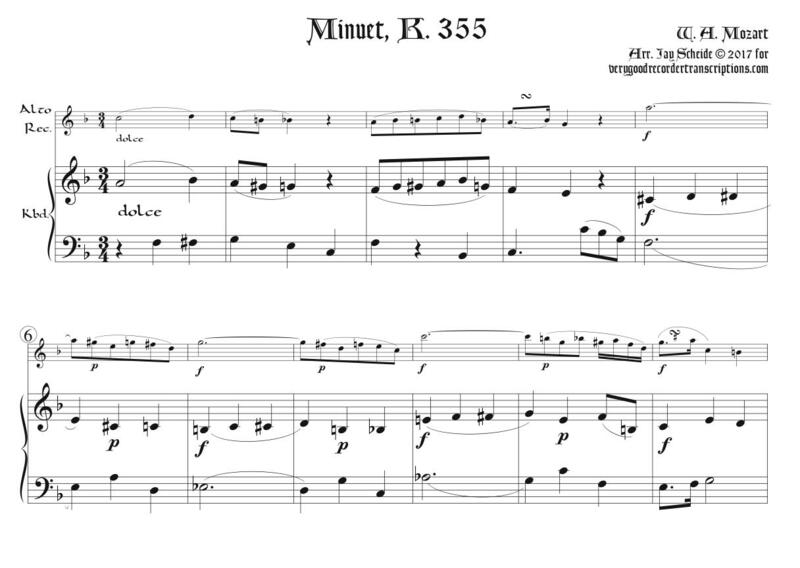 These two pieces, both originally unattached, have been linked together in 19th century transcriptions and many editions over the years, so we link them here, and in the original tonal relationship, the Gigue in a tonic relationship to the Minuet’s dominant. Recorder & Keyboard part, 6 pp.